We are national pastors and evangelists from many nations led by national directors affiliated with PIEI. We plant churches, train Christian workers, evangelize by radio and literature, provide practical help for struggling people. 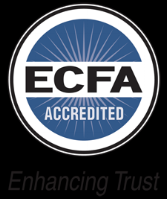 We are a fellowship of committees of volunteers who are in love with a national ministry, visit that ministry, and raise the funds to support that ministry. We are a board of dedicated chairpersons and administrators that meet twice a year to celebrate, pray, listen to reports, resolve problems, and welcome new ministries. We are committed believers in Jesus Christ who pray for and give to nationals and their ministries. We come alongside specific ministries of Partners in Evangelism International to support specific national missionaries as they work to spread the Gospel. Cornel immigrated to the United States with his family in 1983 from Romania. In the 1990s Cornel joined Partners in Evangelism International as the chairman of both the Romania and Ukraine committees. He has served as the President of PIEI since 2006, and has been repeatedly humbled and blessed to see the work God has done through the ministry. Gene founded PIEI in 1985 and has led the ministry in Spain from the very beginning. Though he served as the President of PIEI for many years, he had always envisioned a national serving in that role, and was pleased to nominate Cornel in 2006. To this day, Gene remains a dedicated servant of Christ, and works to promote the Gospel in Spain and throughout the world. Bob's involvement with PIEI began in 2008 when he joined a Partnership Committee to support Mboligihe Ndalu, a national missionary in the Democratic Republic of Congo. After serving in that capacity for several years, Bob stepped into the role of General Director to help.